Hardcover, 9.5 x 11.5 in. / 448 pgs / 400 bw. Introduction by Glenn O'Brien. Foreword by John Cale. This deluxe version of Billy Name: The Silver Age is limited to 100 signed and numbered copies. Presented in a bespoke clamshell box, it includes an archival pigment print, signed, numbered and stamped by Billy Name, exclusive to this edition. 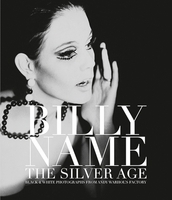 The book is numbered and signed by Billy Name, Bibbe Hansen, Danny Fields, Robert Heide, Allen Midgette and Dagon James. The Silver Age is the definitive collection of Name’s black-and-white photographs from Warhol’s Factory, during the period 1964–68. 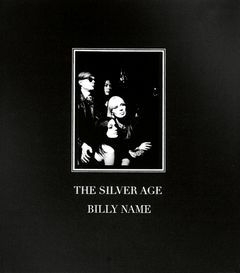 Produced in collaboration with Name, it features a foreword by John Cale, an introduction by Glenn O'Brien and contributions from Factory alumnae including Gerard Malanga, Viva, Allen ‘Midgette, Brigid Berlin and more. It offers an extensive trip through Warhol’s world, with visits from Lou Reed and the Velvet Underground, Nico, Edie Sedgwick and Bob Dylan, and filming Screen Tests and features such as Chelsea Girls, Vinyl and My Hustler. Dagon James is a New York based archivist, editor and curator. He is the founder and publisher of Lid magazine and fine art imprint The Waverly Press; the publisher of limited edition books and prints; and he works with museums and galleries worldwide. His photographs — he took thousands, in a moody, high-contrast black and white — did more than just capture Warhol’s retinue, his “superstars”: Edie Sedgwick, Brigid Berlin, Gerard Malanga, Mario Montez, Mary Woronov, Ondine, and Bibbe Hansen. They also documented the larger scene around the Factory, including fellow artists like Ray Johnson, Jasper Johns and John Cage; the members of the Velvet Underground; the filmmaker Barbara Rubin; and admirers like Bob Dylan and Salvador Dalí. FORMAT: Hbk, 9.5 x 11.5 in. / 448 pgs / 400 b&w.